Based on up to date research, Mellow Parenting designs programmes to address gaps in current service provision which help to address social and health inequalities. The programmes are piloted and evaluated thoroughly until the evidence suggests that they work effectively. All Mellow Parenting Programmes are thoroughly evaluated before being made available to services. We have our own internal evaluation team that conducts our initial pilots and focus groups. We also have strong links with universities to evaluate our programmes independently for feasibility and cost effectiveness. Mellow Parenting Programmes improve parents’ mental health: they reduce anxiety and depression, increase well-being, self-esteem and self-confidence. We know that children’s development accelerates; in one study of three year old children, their language had improved up to their age level from a previously low level, and parents reported a decrease of their child’s behaviour problems. Our training courses provide the tools to build safe, therapeutic and confidential environments to help parents connect with their children. They are the starting point for you and the families you work with. Every trainee receives a certificate of training and benefits from access to Accreditation, Evaluation and Locality sites, a dedicated practitioner’s area on our website, regular newsletters and networking opportunities as well as access to the Annual Mellow Practitioners Day. All practitioners are required to follow our accreditation process by accessing reflective consultation when they deliver Mellow programmes to families. Training Groups run frequently across the UK and commissioned training can be delivered in your local area in both the UK and internationally upon request. 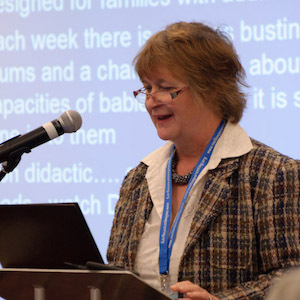 We have already trained over 3,800 professionals worldwide: midwives, health visitors, psychologists, family support workers and early years practitioners now have the skills to deliver Mellow Parenting Programmes. 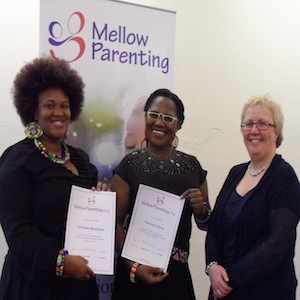 Mellow Parenting is a Scottish Parenting Programme, trialled initially on Scottish Families in 1996 with a grant from the Department of Health. One of the trials was held in the Alloa Family centre, where Mellow Groups are still being delivered!